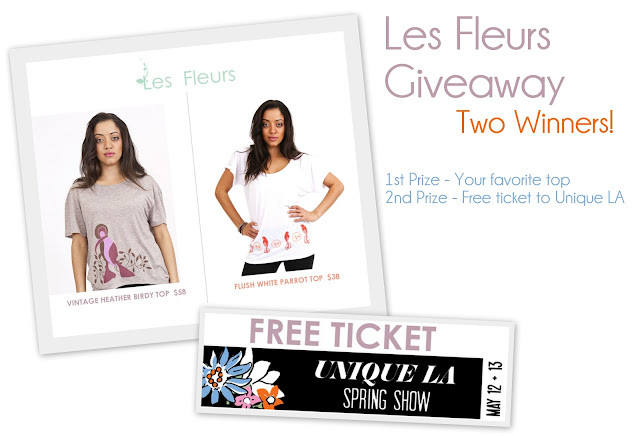 A last minute but very awesome giveaway sponsored by Les Fleurs! Les Fleurs is an L.A. made women's knitwear brand. The collection features sophisticated fashion forward, artistically designed basics that live beyond seasons. These tops and tanks offer blooming buds, springtime themes, and a vintage aesthetic. Designed by a 20 year old L.A. native who loves sunlit days in the garden, this season's collection sprouts forth flowy garments, silky silhouettes, birds in meditation, bright floral motifs, and smooth cotton blends. Les Fleurs' unique clean lines flatter the feminine shape and the collection combines soft, luxurious fabrics with special dyes and detailed construction to make stylish, ready to wear pieces that take you easily from day to night and weekday to weekend. Les Fleurs is generously offering two prizes to two lucky winners! 1st Prize - One (1) winner will win the top of his/her choice, and may choose between either the Vintage Birdy Top (valued at $132 USD, currently $58 for a limited time) or the Flush White Parrot Top (valued at $86 USD, currently $38). 2nd Prize - One (1) winner will win a free ticket to the Unique LA show for May 12th and 13th (valued at $10 USD), the largest independent handmade show in the country. There will be two (2) separate drawings. The first drawing (for the top) will include all entries (open internationally! ), and the second drawing (ticket to Unique LA) will include only Southern California/Los Angeles residents, so please be sure to fill out the entire form before submitting your entry in this blog post. You Must be a blog follower through Google or Bloglovin' to be eligible. Copy & paste the following questions and leave it in a comment on this blog post with your answers. Which top would you want to win and why? +1 : 'Like' The Brands Boutique on Facebook, then leave a comment in this post with your Facebook username. 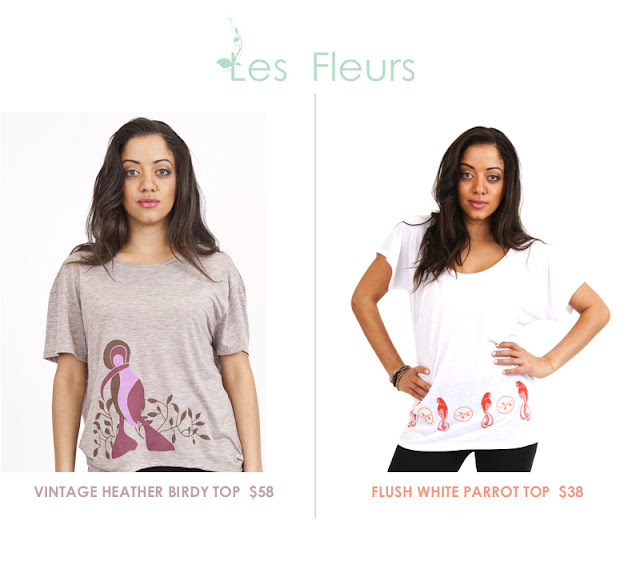 +1 : Visit Les Fleurs on The Brands Boutique and leave a comment with your favorite top from the shop. +1/day : Tweet the following: I want to win a lovely vintage-inspired top from indie label Les Fleurs >> http://goo.gl/FUlEx [@iamericaleigh] **Can tweet daily for extra entries. Please leave a comment in this post with your Twitter username every time you do this. Giveaway is open internationally. Winners will be chosen at random, notified by e-mail, and announced in this post. You can view Les Fleurs' lookbook here. Shop the collection online at The Brands Boutique. Learn about the Unique L.A. show here. Share, shop & support! Good luck! 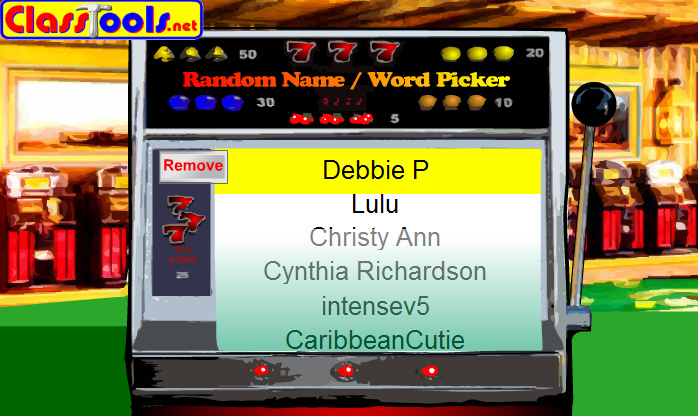 vdaygirl214 for the Unique LA ticket, and Debbie P for the top! Congratulations!